“The Joneses” are a family group based in Wheelersburg, Ohio with roots in the Gaither Homecoming Events The group is made up of Joy Jones (49), her son Ryan Jones (22), and Daniel Spriggs (21)! The Joneses are blessed to travel as a family group. Ministry is a passion for them, which is evident in their performances. God’s anointing is a major emphasis in all their lives and love ministering to people and experiencing God’s presence in a powerful way! The group has been blessed to be a part of National Quartet Convention in Pigeon Forge, TN for the past six years, and will be a part of 2019’s Friday night program. They have also experienced God’s favor in radio. The first single release from their first CD in 2013 (Come On, Come On) broke into the Singing News Top 80 at #58. 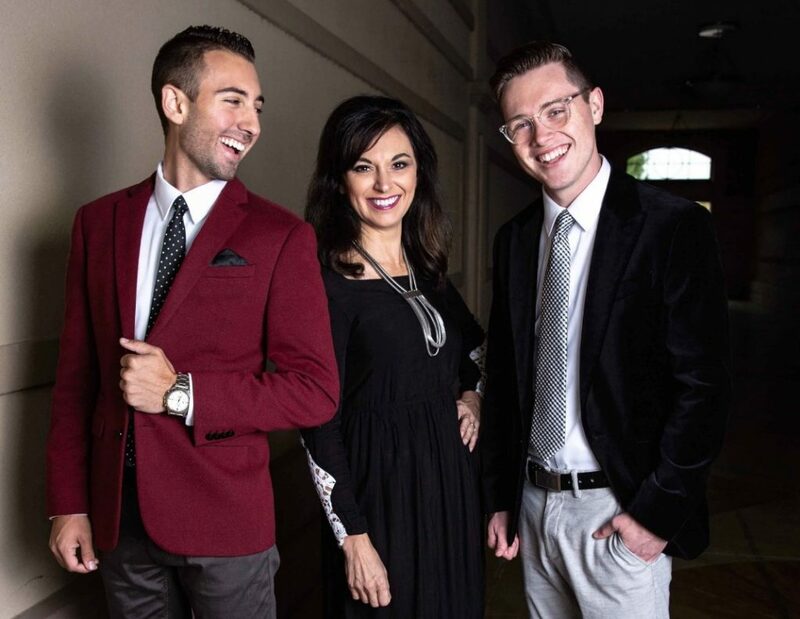 The Joneses were also featured on Daystar Television’s “Gospel Music Showcase” hosted by Guy Penrod. The show will air in the spring of 2019. 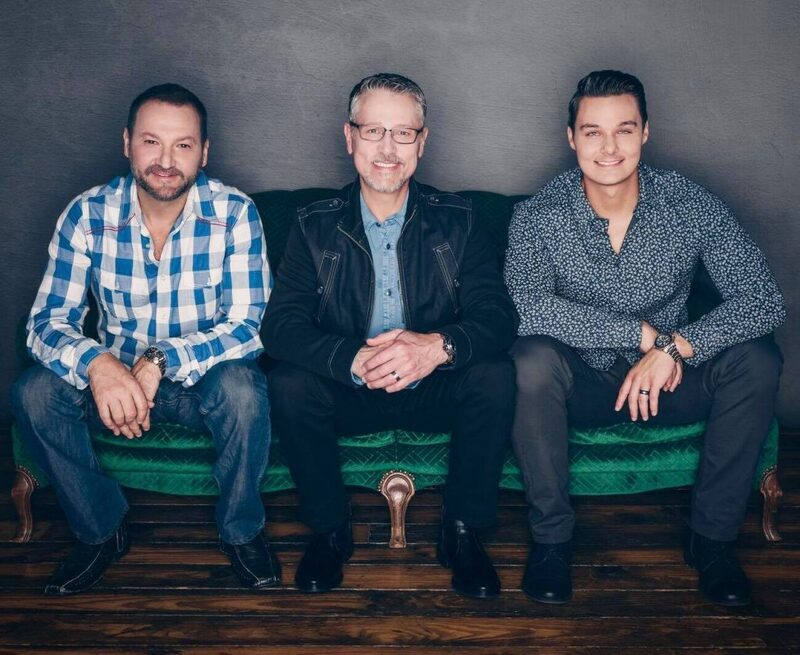 They are also looking forward to an upcoming interview with Paul Heil to be a “featured artist” on “The Gospel Greats.” 2019 will also bring about a partnership with Salem Media Group which will include an appearance at Dollywood, along with a corporate promotional plan. The group recently signed with Song Garden Music Group, with Gus Gaches (Tribute Quartet) as director. The new project reflects the group’s vein of music with an appeal to a younger audience, while at the same time appealing to the older demographic. Ryan penned three of the songs on the new project including the title cut “Good Things.” God has anointed Ryan with the gift of writing songs, which is a tremendous blessing. The group is excited about multiple upcoming radio releases from the project. The group is known for its strategic execution of a musical blend appealing to all ages. The mission of Brian Free and Assurance is to lift up Jesus Christ through their music, see souls come to know the Lord as Savior and Be an encouragement to Believers across the nation and abroad. They believe in helping others grow in their walk with the Lord by forming exhorting relationships with their fans and investing in them at concerts. Everything is done for the glory of the Lord Jesus Christ. Brian, Bill, and Mike are passionate about their calling and they are unashamed of the Gospel of Jesus Christ.